When Lillo Gray pulls up to Kennebunkport’s most exclusive hotel wearing a borrowed dress and driving a borrowed VW van, she knows she’s made a big mistake. She’s not even sure why Jessica Parker invited her to her posh wedding. They haven’t seen each other since they were unhappy fourteen-year-old girls at fat camp. And now they’re from two completely different worlds. There’s no way Lillo fits in the rarefied circles Jessica travels in. Jess isn’t sure she’s ready to go through with this wedding, but she’s been too busy making everyone else happy to think about what she wants. But when she and her two closest friends, Allie and Diana, along with Lillo, discover her fiancé with his pants down in the hotel parking lot, she’s humiliated…and slightly relieved. In a rush to escape her crumbling life, Jess, Allie, and Diana pile into Lillo’s beat-up old van and head up the coast to Lighthouse Island. Once there, she hopes to figure out the next chapter in her life. Nursing broken hearts and broken dreams, four lost women embark on a journey to find their way back into happiness with new love, friendship, and the healing power of Lighthouse Beach. Lillo Gray arrives at the fancy wedding of a childhood friend Jess in a borrowed old VW van and a dress she borrowed from another friend. She knows she shouldn’t have come, she is never going to fit in with these people. She is totally surprised when the bride welcomes her with open arms and drags her off to meet 2 more friends avoiding the festivities planned by her parents. When they meet Allie and Diana for a few drinks Lillo learns that Jess really doesn’t want to get married and that she is just doing it to make her parents happy. When the group returns to the hotel they see the groom in the parking lot in a very comprising position. Broken and humiliated Jess has had enough. The girls quickly hatch a plan to save their friend. A girl’s road trip! The pack a few things and climb into the VW and take off up the coast. Back to the place where Lillo and Jess met, somewhere they hope no one will find them, Lighthouse Beach. Books like this one give me a glorious “Calgon take me away” escape. This story is about four women and Lighthouse Beach and those that inhabit or visit it. They thought taking Jess there she would rediscover the strong woman she was in college but it did so much more. The discovered something about themselves and their visit changed the lives of others too. Lighthouse Beach is a small coastal town that has basically been forgotten since the lighthouse was retired. The former tourist town is just hanging on. People have to travel to larger towns and work two or three jobs just to survive. This leaves some children mostly unsupervised and free to cause trouble. The residents try to help each other out but the needed resources just aren’t available. There is a visiting group of doctor’s and handyman that comes to town periodically. This group becomes part of the fabric of Lighthouse Beach. A fabric that stretches to welcome Allie and Diana and welcome back Jess almost effortlessly. This story takes place over the course of a week. It seems longer because so much happens. The pacing is perfect. It is a very hard book to put down. The characters lives unfold comfortably allowing the readers to become completely engaged and feel for them. While there is a romantic undertone this story is so much more. Friendship, support, understanding, bring these characters together. Little by little secrets are revealed, wounds are opened and soothed. A true community spirit can be felt. Ms. Noble has written a story I won’t soon forget. She hasn’t tied things up all nicely with a bow at the end either leaving the reader to wonder a bit about the future at Lighthouse Beach and the people we met there. A breath of fresh air, energizing, hopeful story that I really and truly enjoyed. It was most certainly a Perfect Escape! 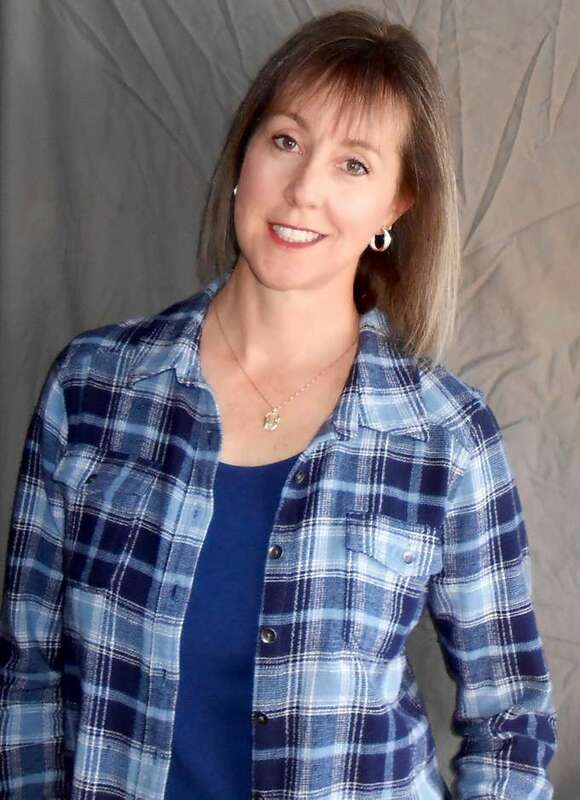 SHELLEY NOBLE is the NEW YORK TIMES Bestselling Author of the women’s fiction novel BEACH COLORS , a #1 Nook bestseller, STARGAZEY POINT three novellas, Holidays at Crescent Cove , Stargazey Nights , BREAKWATER BAY and WHISPER BEACH . 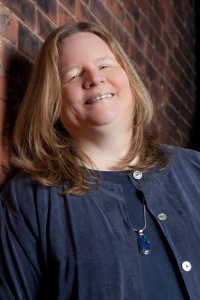 As SHELLEY FREYDONT she is the author of the CELEBRATION BAY FESTIVAL MYSTERIES (Berkley Prime Crime) as well and two other mystery series, and the upcoming Gilded Age Newport Mystery series. Her mysteries have been translated into ten languages. A former professional dancer and choreographer, she most recently worked on the films, Mona Lisa Smile and The Game Plan. Shelley lives near the New Jersey shore where she loves to discover new beaches and indulge her passion for lighthouses and vintage carousels. Find more books by Shelley Freydont Here. I am giving away my review copy of Lighthouse Beach! I am excited to share my thoughts on the latest Maine Clambake Mystery today! It’s summertime in Busman’s Harbor, Maine, and the clamming is easy—or it was until a mysterious new neighbor blocks access to the beach, cutting off the Snowden Family Clambake’s supply. Julia Snowden is just one of many townspeople angered by Bartholomew Frick’s decision. But which one of them was angry enough to kill? Beachcombers, lighthouse buffs, and clammers are outraged after Frick puts up a gate in front of his newly inherited mansion. When Julia urges him to reconsider, she’s the last to see him alive—except the person who stabs him in the neck with a clam rake. As she pores through a long list of suspects, Julia meets disgruntled employees, rival heirs, and a pair of tourists determined to visit every lighthouse in America. They all have secrets, and Julia will have to work fast to expose the guilty party—or see this season’s clam harvest dry up for good. Busman’s Harbor, Maine is in an uproar as Bartholomew Frick shuts down Sea Glass Beach access on a property he is set to inherit from the much-beloved resident Heloise “Lou” Herrickson. Julia is worried about having enough crabs for their Snowden Family Clambake’s and about the clammers that are losing their income. The tourists aren’t happy either especially a couple that was booked to spend a few nights in the nearby lighthouse. Soon after Julia tries to meet with the man to try to come up a plan to reopen the beach he is found dead. There are plenty of suspects as he had angered plenty of people. Just who was mad enough to commit murder? Julia plans to find out. It was so nice to escape to Maine in the summertime as the cold weather here tries to chill us to the bone. This time in addition to the beach being closed off preliminary plans have been drawn for repairing and renovating Windsholme, the mansion on Morrow Island that been empty since the 1920s. The mansion on the beach that Bartholomew Frick was inheriting was built by the same builder so the architect and designer are anxious to get a peek as they continue to finalize the plan. Julia and her boyfriend Chris are having some issues but she opens her will finally open up and tell her more about the secret she knows he is keeping. This was a really fast read for me. The death of “Lou” Herrickson sets off a chain of events that had my pages absolutely flying. Her family tree and her will designations were very surprising to the people of Busman’s Harbor. All my favorite characters were back and some new characters that definitely fit the “quirky” definition were introduced. One couple traveling by RV is trying to see or sleep in all the lighthouses in the U.S. What a fun idea! I liked that we delve into Chris’ past in this story and start to understand him better. He has had a complicated life and the author is finally allowing Julia and us readers in on his past. The entire story is very well-written with subplots the blend perfectly into the main plot. Twists, turns, and some exciting moments take place as Julia does her best to solve this mystery. There is a clear “edge of your seat” moment near the end that had my heart racing. I love the way Barbara Ross tells a story. She drew me in, set a brisk pace, and took me on a wonderful little trip complete with delicious food descriptions (with recipes) and a top-shelf mystery. Each book in this series can be read on its own but for maximum enjoyment, I recommend reading them in order. Follow Kensington Books on Twitter for 2 Bonus Entries! Sign Up for Barbara’s Newsletter for 5 Bonus Entries! I am so happy to feature Thread Herrings today! Angie’s first auction may turn out to be her last—when she bids on a coat of arms that someone would literally kill to possess . . .
Tagging along to an estate sale with her fellow Needlepointer, antique shop owner Sarah Byrne, Angie Curtis impulsively bids on a tattered embroidery of a coat of arms. When she gets her prize back home to Haven Harbor, she discovers a document from 1757 behind the framed needlework—a claim for a child from a foundling hospital. Intrigued, Angie is determined to find the common thread between the child and the coat of arms. Accepting her reporter friend Clem Walker’s invitation to talk about her find on the local TV news, Angie makes an appeal to anyone who might have information. Instead, both women receive death threats. When Clem is found shot to death in a parking lot, Angie fears her own life may be in jeopardy. She has to unravel this historical mystery—or she may be the next one going, going . . . gone . . .
Finding treasures at auctions and estate sales is part of the fun, but for Angie Curtis it means MURDER! Her friend, a television reporter is dead and Angie is getting threatened that she will be next. Antique shop owner Sarah Byrne takes Angie to her first auction and she is drawn to a needlework coat of arms. When no one else bids she raises her paddle and takes it home. She takes it out of the frame to see if it can be restored but she finds a real mystery instead, a claim from 1757 for a child from a foundling hospital. While researching to see if the child is connected to the family from the auction she runs into Clem Walker who suggests they do a piece on the local news to see if one of the viewers may have information. Angie agrees and even hosts a party so her family and friends can watch her on television. Clem plans a trip to visit Angie in Haven Harbor to discuss the calls the station received. But Clem doesn’t make the meeting, instead, her body is found. Angie knows to find Clem’s killer she has to find who is connected to the coat of arms. The trouble is to keep her safe she is hiding out and it’s hard to investigate anything stuck in a house. There is so much I enjoyed about this story. It had a totally different feel. The Mainely Needlepointers didn’t do hardly any needle pointing but one member of the group, Ruth, is a key player in solving this mystery. Also, Angie accepts that her life is truly in danger after a hairraising event and actually listens to the police and moves to Patrick’s secure home until the killer is caught. As long as she has her cell phone and laptop she can keep investigating and pass along what she finds to the police. At the core of the story are two prominent Maine families. I love the way 79-year-old erotica author Ruth Hopkins knows her way around the genealogy sites. She delves in and finds as much as she can about the families giving Angie plenty of clues and red herrings to sort through. All of Ms. Wait’s characters are interesting, fleshed out and realistic. Most of the recurring characters are very engaging. Patrick is starting to mesh with the rest but still has some work to do. The closer he and Angie get the more he becomes more real to me. The story is pretty fast-paced and filled with suspense. Key characters are truly in danger and I found myself actually holding my breath waiting to read the actual outcome. I know I was reading much faster from about the midpoint on. The author’s descriptions of each person, place, and even the weather were fantastic. She pulls readers right into this story and holds them tight until the final page. OMG, my heart was racing at the ending! Before my accident auctions and needlepoint were two of my favorite things. Finding samplers and other needlework treasures at auctions always made for a great day. I love that both meshed together in this book. This book reads very well all in its own but I always recommend reading series in order to really get to know the characters. This is a wonderful addition to this series. The next book in the series, Thread on Arrival , will be released April 30, 2019. Click on a cover to order from Amazon. As the action heats up in Thread Herrings, you will find yourself riveted. You cannot help but keep reading to discover how the story plays out. Ms. Wait has crafted a tale of Murder and History that keeps you turning the pages until you sigh and put the book down when you have finished! The narrative is well written, filled with fascinating historical detail, and flows at a steady pace. There’s no fluff or filler; every word is important. I admit I was expecting a quick mystery with some fun dialogue and a bit of romance. The author surprised me and took this a step further. There’s a mystery in a mystery, danger around every corner and she really tested the boundaries of her characters. THREAD HERRINGS was a story I couldn’t tear myself away from. A true page-turner of a mystery, with questions stemming from past to present, I just became more and more engrossed. Jessica Fletcher has had plenty to worry about over her storied career, both as a bestselling novelist and amateur sleuth. But she never had any reason to worry about her longtime publisher, Lane Barfield, who also happens to be a trusted friend. When mounting evidence of financial malfeasance leads to an FBI investigation of Lane, Jessica can’t believe what she’s reading. So when Barfield turns up dead, Jessica takes on the task of proving Barfield’s innocence–she can’t fathom someone she’s known and trusted for so long cheating her. Sure enough, Jessica’s lone wolf investigation turns up several oddities and inconsistencies in Barfield’s murder. Jessica knows something is being covered up, but what exactly? The trail she takes to answer that question reveals something far more nefarious afoot, involving shadowy characters from the heights of power in Washington. At the heart of Jessica’s investigation lies a manuscript Barfield had intended to bring out after all other publishers had turned it down. The problem is that manuscript has disappeared, all traces of its submission and very existence having been wiped off the books. With her own life now in jeopardy, Jessica refuses to back off and sets her sights on learning the contents of that manuscript and what about it may have led to several murders. Every step she takes brings her closer to the truth of what lies in the pages, as well as the person who penned them. Jessica Fletcher is a bestselling mystery writer who has a knack for stumbling upon real-life mysteries in her various travels. Jon Land, author of over 40 books, coauthors this bestselling series. Click Here to find all the books in this series. Follow Berkley Mystery on Twitter for 2 Bonus Entries! Leave a comment for the author for 5 Bonus Entries. Liss MacCrimmon’s meddlesome mother is back in Moosetookalook, Maine, to serve a hefty portion of trouble in time for Thanksgiving. But when a scandalous murder case threatens to leave Liss alone at the table, family drama takes on a terrifying new meaning . . . While Liss preps the Scottish Emporium for November’s inevitable shopping rush, other local businesses aren’t half as lucky. Year after year, her father-in-law’s rustic hotel can barely turn a profit during the stretch between autumn’s peak and ski season. Except this time, Mr. Ruskin realizes that the recipe for success lies in enticing an untapped niche clientele—childless couples desperate for a holiday away from family . . . The unusual marketing tactic has everyone in Moosetookalook talking. Unfortunately, it also inspires a scathing social media campaign aimed at persuading tourists to boycott the hotel for affronting family values. Liss dismisses the bad publicity as being totally “overkilt”—until angry mobs fill the streets, the troublemaker who started it all turns up dead, and her loved ones are suspected of murder . . .
With so much at stake, Liss can’t possibly follow police orders to stay out of the investigation. There’s just one wee problem: saving her own clan could mean sending a friend or two behind bars. Now—partly helped, partly hindered by her difficult mother—Liss must digest a slew of unsettling clues and catch the real killer . . . or else everything she’s ever been thankful for may vanish before her eyes. Thanksgiving in Moosetookalook Maine should be delightful, right? Not this year. The Spruces’, a rustic hotel owned by Liss’ husband’s family is facing an uphill battle. The new marketing director came up with an idea to fill the rooms this year with childless couples that don’t want to join their own families over the holidays. It was a good idea and reservations were up until a fringe group decides to make trouble. Going so far as to truck people from away into town to boycott anyone supporting or connected to the Ruskin family claiming they are all against family values. Businesses were even vandalized to stir up trouble. But before the angry hoards have left the town square a member of the radical group is found dead and all clues lead to the Ruskin family. She can’t just sit on her hands, she has to help, but if things go wrong there will be absolutely nothing to be thankful for this year or a long time to come. This is my second visit to Moosetookalook and I enjoyed myself. The author takes on a hot topic and her approach was very stirring. A group with a very narrow viewpoint feels they can press their beliefs on an entire town. As the story continues we find the group isn’t as tightly knit as we believed at first as the death of the member of the group brings cracks in their make up to the forefront. Liss digs deep to solve this mystery, going back, again and again, to try to uncover the truth. The way the author wrote this was very gripping making it a hard book to put down. The way the community rallied together was heartwarming and at times hard to read because difficult questions had to be asked to clear people from the list of suspects. The subplot of the family dynamics in Liss’ family was captivating too. Her parents, Mac and Violet “Vi” MacCrimmon, have just moved back to Maine from Arizona. Vi and Liss have a had a strained relationship but circumstances bring them closer in this story. I didn’t like the way Vi kept a secret about her health from her daughter though. I believe it is things like that that put the strain in their relationship in the first place. I may have to go back and read the series from the beginning to see if my theory is correct. This was an entertaining mystery that kept me guessing right up until the suspenseful conclusion. The characters were unique. I want to get to know the core characters better so I am excited about Ms. Dunnett next book in this series. For me, it was a 5 Starfish read and a Perfect Escape! Kaitlyn Dunnett writes the Liss MacCrimmon Scottish-American Heritage Mystery Series published by Kensington Books. She also writes under the names Kathy Lynn Emerson and Kate Emerson . She is also the author of Crime and Punctuation , the Deadly Edits series. You can read my review here. This book comes out today in the Mass Market Paperback Edition! The old Chadwick mansion on the edge of Moosetookalook, Maine, has been shrouded in mystery for generations—until Scottish Emporium owner Liss MacCrimmon uncovers a forgotten family secret. But she never imagined that a little curiosity would lead her into such deadly territory . . . While perusing auction items from the Chadwick estate, Liss purchases a painting of a bagpiper to add to her collection. Her interest shifts from art to sleuthing upon a strange discovery—what appears to be a treasure map tucked behind the canvas. She’s even more intrigued when she links the scroll to an early Chadwick who smuggled goods across the Canadian border. So during a business trip to Canada, Liss arranges a meeting with an archivist in hopes of pinning down the truth about the map and the Chadwick bloodline. Before her quest moves forward, however, she finds the archivist’s murdered body at a local genealogical society. One thing is certain—Liss isn’t alone on this treasure hunt . . .
Liss returns to Moosetookalook, terrified that the killer may have followed her home. With her life in real peril and the map at risk of being stolen, she launches into full-scale investigation mode. But as she deciphers clues and inches toward the dangerous culprit, Liss quickly realizes she’s only a step away from ending up like the Chadwick clan—permanently wiped out. This was my first trip to Moosetookalook, Maine and I am so upset with myself that it took me this long to find this series. Liss MacCrimmon owns the Scottish Emporium and while she is at an auction looking for items for her shop she finds a painting of a bagpiper. She bids and wins the picture after outbidding two other people. While carrying it to the car she drops it and makes a very interesting discovery. It looks like a treasure map was hidden behind the canvas in the frame. The treasure is marked with an “X” but Liss has no idea where to start looking, but she thinks it may be on the old Chadwick property, since that is where the auction is being held. Her aunt does a little research and feels they need to head to Nova Scotia to meet with a man that may have more information. But when they arrive for their meeting, the man is dead, murdered. Liss and her aunt are quickly cleared when their alibi checks out, so they continue will the rest of their visit to meet with vendors for merchandise for their store and to attend the Highland Games in Antigonish. Liss feels as if she is being watched several times, but when their hotel room is trashed and an Ipad and a broach are missing, they report it to the police and head back to Maine. Strange things start to happen at home and Liss is convinced it all has to do with the map she found. Did the killer follow her home? Her life may be in jeopardy, so she has no choice but the find where X marks the spot. As this was my first adventure with Liss, her family, and friends, I was pleased by how well they were described. I am sure I am missing out on certain nuances of the characters but that did not deter from my enjoyment of the story. I really liked that she is friends with Chief of Police Sherrie Campbell and that she works with her aunt. Ms. Dunnett has written a well-plotted mystery with plenty of suspects and the exact right amount of suspense. I enjoyed that genealogy was used to lead the way in solving the mystery. A treasure hunt is always fun to follow in a story. I did figure out the culprit a bit before it was revealed. The person just felt shady from the start. There is a subplot in the story concerning Liss’ parents and that made me wish I had read the previous stories, but it also made me what to jump right into the next new book, Overkilt being released October 30. I found this to be a very entertaining mystery. My first trip to Moosetookalook was a very enjoyable getaway and am looking forward to visiting again soon. Food and cocktails columnist Hayley Powell will be cooking alongside top chefs at a cookbook author’s party. But a killer plans to ruin her appetite . . . When Hayley’s idol, cookbook author and TV personality Penelope Janice, invites her to participate in a Fourth of July celebrity cook-off at her seaside estate in Seal Harbor, Maine, Hayley couldn’t be more flattered. She just hopes she can measure up. With a who’s who of famous chefs whipping up their signature dishes, this holiday weekend has all the ingredients for a once-in-a-lifetime culinary experience. Instead, Hayley gets food poisoning her first night and thinks she overhears two people cooking up a murder plot. The next morning, a body is found at the bottom of a cliff. Tragic accident or foul play? To solve a real cliffhanger, Hayley will need to uncover some simmering secrets—before a killer boils over again . . .
Includes seven delectable recipes from Hayley’s kitchen! Life just got a little sweeter in the island fishing village of Eastport, Maine. Jacobia “Jake” Tiptree and her best friend Ellie are opening a waterfront bake shop, The Chocolate Moose, where their tasty treats pair perfectly with the salty ocean breeze. But while Jake has moved on from fixing up houses, she still can’t resist the urge to snoop into the occasional murder. Jake and Ellie have been through a lot together, from home repair to homicide investigation. So when they decide to open a chocolate-themed bakery, they figure it’ll be a piece of cake. With Ellie’s old family recipes luring in customers, they expect to make plenty of dough this Fourth of July weekend. Having family home for the holiday only sweetens the deal for Jake—until the ill wind of an early-season hurricane blows up her plans. When the storm hits, Jake’s grown son Sam is stranded in a Boston bus station, and her husband Wade is stuck on a cargo ship. But as bitter as the storm is, something even more sinister is brewing in the kitchen of The Chocolate Moose—where health inspector Matt Muldoon is found murdered. Ellie never made a secret of her distaste for Matt, who had been raining on their parade with bogus talk of health code violations. Now, with no alibi for the night of the murder, she’s in a sticky situation with the police—and it’s up to Jake to catch the real killer and keep Ellie living in the land of the free. Sarah Graves ended her Home Repair is Homicide Mysteries back in 2013. To her fans delight, she has brought the characters back in this new Death by Chocolate Mystery series . Jake and Ellie have opened up a bake shop on the waterfront and the town of Eastport still has a murder problem and this murder happens right in their business, The Chocolate Moose. Matt Muldoon has been after them since they opened with one complaint after another, even saying he would report them to his “friends at the Maine State Health Department”. Ellie couldn’t stand the man, but she can’t be the only one. She didn’t kill him but she and Jake will have to find out who did or Ellie may find herself working in the prison kitchen. These characters were very well developed in the previous series but are now facing new situations as they try to get their new business off the ground. Enough background is given so new readers should not feel lost. They do mention the crimes they have solved before but it is not too much to take over this new story. Jake and Ellie are both strong women and work together very well. In addition to the dead man in the kitchen, there is a hurricane headed toward Eastport and the town is planning for their huge 4th of July celebration. Jake and Ellie have a huge order for Chocolate Cherry Cheesecakes for the silent auction. Also, Jake’s dad is in the hospital when the story begins. To say these ladies have their hands full is an understatement. The story rolls along at a great pace as Jake and Ellie find themselves in some dire situations. Twists and turns aplenty keep us readers on our toes. I did enjoy the interaction between the ladies and chief of police Bob Arnold, he trusted them enough to be able to accept their input because they have a history with this type of situation. Jake’s family life added a nice subplot and I was so surprised by Sam’s announcement. Fans of the previous series will love this spin-off, new readers will fall for these characters too after reading this book. I have to say spin-offs are rare and hard to do in cozy mysteries but Sarah Graves has done a fine job. I am looking forward to future stories with Jake and Ellie. Sarah Graves lives in Eastport, Maine, in a 200-year-old house much like Jake Tiptree’s. After 20 years of home repair – and yes, it really does make you think about murder! – she has handed in her toolbox and returned to her first love: chocolate. When she’s not cooking or baking something delectable, or writing about it, she tends a huge garden or shovels snow, depending upon the season. I am thrilled to have Sofie drop by today to share a recipe! The characters in the Second Chance Cat mysteries like to eat. Although Sarah is still working on her cooking skills, Rose Jackson is a talented cook and thanks to her there’s always something sweet in the break room at the library. My own mother didn’t like to cook. But she had a good friend, Mrs. V., who did, and who encouraged my early baking efforts. This is about as close as I’ve been able to come to her molasses oatmeal cookie recipe, adapted from a recipe in an old Betty Crocker cookbook. Bake 10 to 12 minutes or just until set. Cool for one to two minutes; remove from cookie sheets to a rack. This makes between 36 and 42 dark, chewy cookies. What can I say? I never seem to make tiny cookies. These are about two and a half inches in diameter. *Note: I have some people in my house who don’t like raisins in their molasses cookies. (That makes no sense to me.) So I bake half the cookies and then add raisins to the remaining batter. Thank you, Sofie, these sound delicious! Sofie’s new Second Chance Cat Mystery , The Fast and the Furriest comes out on Tuesday! Let me tell you all about it! Sarah Grayson and her trusty companion, Elvis, race to tail the right suspects in the fifth installment of the New York Times bestselling Second Chance Cat Mysteries. Sarah Grayson owns Second Chance, a shop that sells lovingly refurbished items, in the charming town of North Harbor, Maine. But she couldn’t run the store without the help of her right-hand man, Mac–or her dashing rescue cat, Elvis. Mac’s life before North Harbor has always been a little bit mysterious, but it becomes a lot more intriguing when a woman from his past shows up in town, and then turns up dead. Suspicion falls on Mac, but Sarah–and Elvis–know he can’t be the killer, and they hope they can prove his innocence quick as a whisker. Sofie Ryan /Sofie Kelly is the pseudonym of author and mixed-media artist, Darlene Ryan. Sofie/Darlene lives on the east coast with her husband and daughter. In her spare time, she practices Wu style tai chi and likes to prowl around thrift stores. Leave a comment for Sofie for 5 Bonus Entries. A stray kitten and a rambunctious poodle bring together a small-town bachelor and a single mother in the latest romance set in Bluff Point, Maine. Bluff Point brewery owner Zachary Caine wants nothing to do with commitment. His wild bachelor lifestyle suits him perfectly—until a foster kitten named Chaos makes him a reluctant hero. Now he’s BFFs with the kitten’s two little girls and finds himself falling for their gorgeous mother, who couldn’t think less of him. So when Jessie’s past threatens her and her girls, Zach is determined to do whatever it takes to protect them—and live happily ever after with this family he has made his own. Every once in a while I like to take a break from mysteries and enjoy a little romance. Thanks to Jenn McKinlay, last few months I have fallen in love with the residents of Bluff Point, Maine. This third book in the series is the story of Zach Caine, local brewery owner, and his neighbor, Jessie Connelly. He doesn’t do commitment and she is getting over a rocky divorce. Zach meets Jessie’s daughters when he answers the pounding on his front door. They beg him to help rescue their kitten from a very precarious situation. He soon finds himself wanting to not only spend more time with the girls but their mother as well. When a snowstorm hits and the city loses power Zach decides to take his dog and ride out the storm with Jessie and the girls. They all get very close, like a real family, but will the sparks remain when the power comes back on and daily life, jobs, friends, and ex-inlaws enter the picture? Both Zach and Jessie have been hurt in the past and have put up walls. Their relationship happens very quickly but they do learn a lot about each other while snowed in. It was Zach’s relationship with Maddie and Gracie that warmed my heart right up. Their father is not involved in their lives at all and Zach sees a huge void that needs to be filled. He pitches right in, reading bedtime stories, having snowball fights and even nurtures their new musical talents. He also steps up to protect the girls and Jessie when someone makes some very unreasonable demands. A minor character plays a huge part in this drama that didn’t have to happen. I wanted to reach into the pages and give the woman a high five and a hug. Jenn McKinlay continues to create strong characters that I have quickly come to love, including some adorable pets. Their dialogues are perfect, dramatic when need be, and funny when appropriate. The romantic moments were passionate and vivid. The chemistry was apparent from the beginning and continued to grow as the characters evolved in their realization that they could really be happy together for more than just a fling. I was very impressed at how fleshed all of the characters were. We really got to know Maddie and Gracie too. They are a huge part of the story, not background characters. They are both seen and heard. Jessie is an excellent mother and it shows in her girl’s thoughts and actions. The friend dynamic drives the story in some critical moments. Jessie has not really had a group of friends supporting her before but she is easily accepted into the group of Zach’s friends. She has a huge secret and is brave enough to share it with her new girlfriends in the group. Zach needs a little help understanding that yes, he is falling in love, and his friends make him aware as only true friends can. I have loved each book in this series. They are stories life, love, and friendship. Heartwarming, every one. I cannot pick a favorite, I recommend all three. Every Dog Has His Day is a perfect book to curl up and read in front of a fire on a cold winter’s night. This romance will warm you right up and the happy ending will leave a huge smile on your face. I am beyond excited for the next book in this series. Subscribe to Jenn McKinlay’s Newsletter for 5 Bonus Entries.